Where the soil was most fertile there were the most frequent changes of population, as in what is now called Thessaly, in Boeotia, in most of the Peloponnese (except Arcadia), and in others of the richest parts of Hellas. For in these fertile districts it was easier for individuals to secure greater powers than their neighbours: this led to disunity, which often caused the collapse of these states, which in any case were more likely than others to attract the attention of foreign invaders. Now I have no idea whether this is true or not, but it’s a pretty astonishing thing to say. This is one of the first examples that I’ve ever read in which a man attributed the course of human history to climatological and geographic factors. He’s saying that since Attica has poor soil, it was less frequently invaded and individuals were able to amass less power, and that this stability and political unity is what allowed for the rise of Athens. The book doesn’t always display this level of analysis, but it’s always interested in the causes of things. Of note, throughout the book, are the speeches that Thucydides reproduces whenever there’s a case in which a city is facing a major choice. I, personally, do not believe that anyone actually said these speeches. Rather they’re a way for Thucydides to illustrate the various options that each city had at each point and the various motivating factors that led to them adopting a given course of action. And nothing could be a better or more efficient device for showing the tremendous stakes involved. Here we have cities whose populations are routinely called upon to decide upon existential threats. In many cases, there is no good option, but choosing the bad option means death or slavery. In this history, unlike in most ancient (and modern!) histories, you actually experience these city- and nation-states both as complicated systems in which many parts are balanced against each other and as individual actors who, as their actions accumulate over time, tend to take on a narrative quality. For instance, the Spartans are brave, but so far they’ve come off as disorganized, hapless, and far too rigid. They excel in fighting, but they take too stern hand in diplomacy. For instance, their treatment of the captured population of Plataea is contrasted with Athens’ treatment of captured Mytilene. In the former case, the Spartans slaughter all the men, while in the latter case, the Athenians initially call for the Mytilenes to be killed but then draw back from that precipice after a public debate. It’s a stark illustration of their different values. Okay, wait, this blog post was originally supposed to be about the difference between Athens and Sparta, but it’s already 500 words long, so maybe I’ll cover that stuff in a later post. For now, I’ll say that I always used to wonder why people still read Thucydides. I understood Herodotus, since the Persian War has a very epic quality to it. 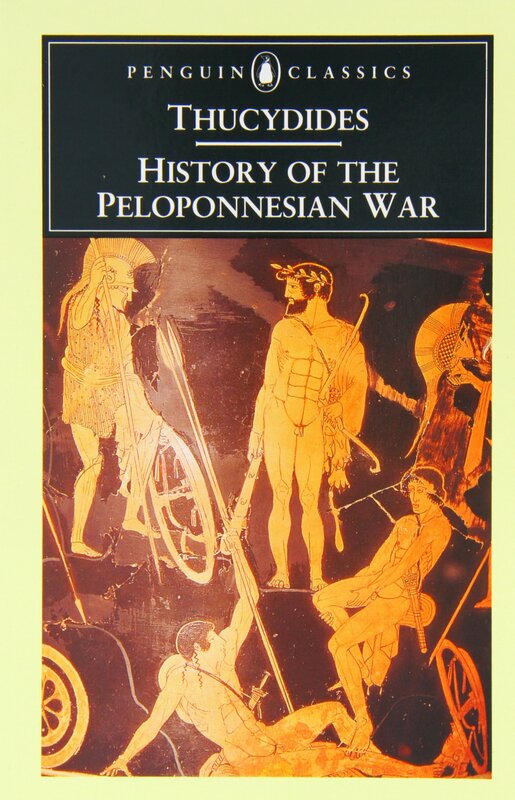 But the Peleponnesian War isn’t like that. It’s a lot of squabbling. The numbers of the armies involved are also absurdly small: armies of a few hundred, sometimes, squaring off against each other. And, furthermore, since we know Alexander is going to invade in a generation or two, we know that this war had very little impact on history. But there is something here: a very logical and elemental view of human relations and of the relations between states. That’s the virtue of history, I think. It’s the fact that history is not about systems and about theories. At its core, it’s about what actually happened. And by arranging his details in a certain way, Thucydides is able to tell us a lot about the strengths and dangers of democracy, and about what happens when nations are confronted with mortal danger.